My name is Hayley Mathis, and I'm addicted to Christmas movies. No, I'm not just talking about popular movies like Love Actually, Home Alone, or The Santa Clause. I'm talking about romantic, sappier-than-Canadian-maple-syrup, made-for-TV romantic Christmas movies. Now that I've come clean, it's time for all of you to come clean, too. There's no need for us to hide anymore. Admit it — when you're flipping through channels and see a couple kissing under the mistletoe, you can't help but stop. And when that couple finally ends up together, you know you turn into a pile of eggnog right in front of your TV. Yes, you can tell from the beginning that they are going to end up together, but that's the beauty of these movies: guaranteed happy feelings! 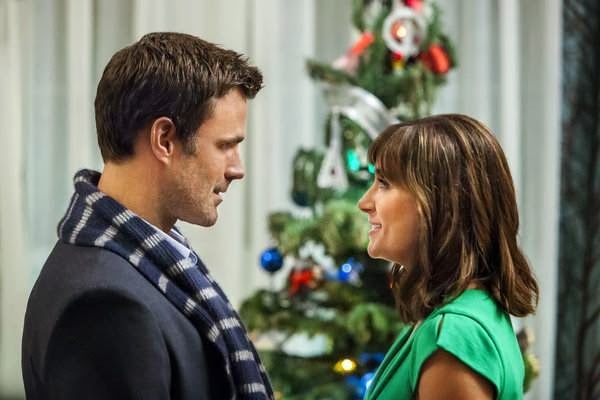 Being the Christmas-loving freak that I am, I've complied a list of the best made-for-TV romantic Christmas movies that are sure to give you all those warm and fuzzy feelings. These are sure to warm your cold, cold heart in no time — (unless you're single, in which case they might really annoy you). Besides Shannon Elizabeth's questionable singing voice, this 2013 movie is a winner. Another 2013 classic! I'm not the biggest fan of Candace Cameron Bure, but I will tell you this girl knows how to rock a Christmas movie ... or four. What do you get when you mix Runaway Bride and How to Lose a Guy in 10 Days? You get 2012's A Bride for Christmas, and it's a winner. The only thing better than being jolly, ol' Saint Nicholas himself is being his daughter! Damn you, 2006 version of Jenny McCarthy, damn you. What can I say? 2013 brought us a lot of great Christmas movies! While this movie teeters on tragic love story rather than heartwarming Christmas tale, Cameron Mathison is a hottie hot hot! Plus Jewel Staite, of the awesomeness that is Flash Forward, plays the funny best friend! Christmas trees are an important part of the holiday season, and 2013's Fir Crazy highlights that extremely well. The only thing I can't get past is the fact that Colin Mochire from Who's Line Is It Anyway? is supposed to be the bad guy. You can thank 2012 for this adorable movie. Stranded in the most adorable town anyone has ever seen with a nice guy for Christmas? I'll take that escape fantasy, thank you. Amy Smart is no stranger to Christmas movies, and I love her for that. 2011's 12 Dates of Christmas combines two of my favorite things: a Groundhog Day theme and Mark-Paul Gosselaar (aka Zack Morris). It's 2007 and Christina Milian is stretching her acting wings as Angela, a woman so obsessed with the holidays (I feel ya, girl) that she gets trapped inside a magical snowglobe. The only thing that could've made this movie better is a Christmas version of A.M. to P.M.
Roger Moore, also known as my third favorite James Bond, plays a grumpy old king who hates Christmas. All he needs is a quirky American girl to set him straight. How can you resist?! The classic tale of uptight girl meets easy-going guy still works, even in 2013. They fight, they swap insults, they get trapped in the ... hey, gotta respect it! If you've ever wished you could get Mario Lopez in a pair of furry handcuffs, then this movie is for you. 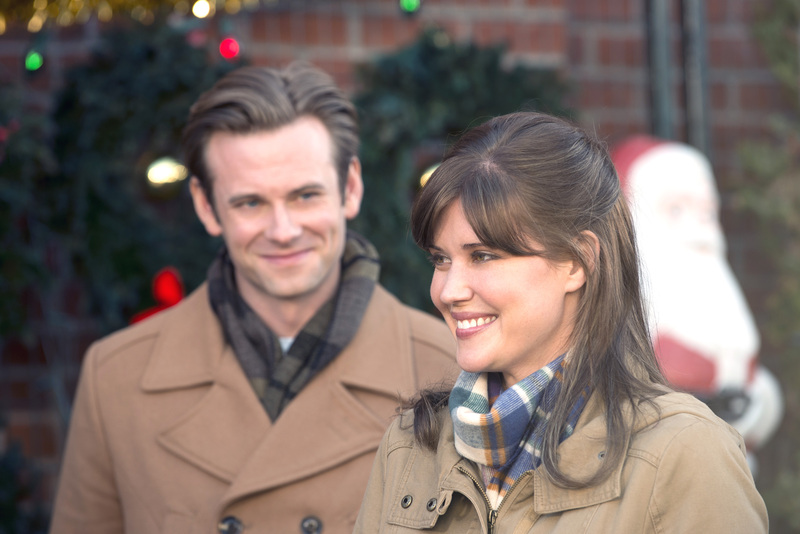 A Very Merry Mix-Up , another 2013 cinematic gem, has everything you could ever want in a Christmas movie: a charming leading lady, a sincere suitor, a perfect family, and TONS of pre-lit garlands (I'm telling you). Plus, you can't have a definitive ranking of romantic made-for-TV Christmas movies without one of them involving mistaken identity. That's Christmas Movie 101. If your town's search and rescue team needed help raising money for new equipment, can you think of a better idea than having 12 gorgeous men pose naked for a holiday calendar? I didn't think so. Take me back to 2009! In my opinion, this 2013 jewel deserves six stars out of five! As a writer myself, I can fully respect the lengths to which journalist Greta Kaine(ablesteinski) goes to get her story, especially if it involves spending the holidays with cutie Jordan Belfi.